Iconic Country Band Shenandoah Live from New York City! 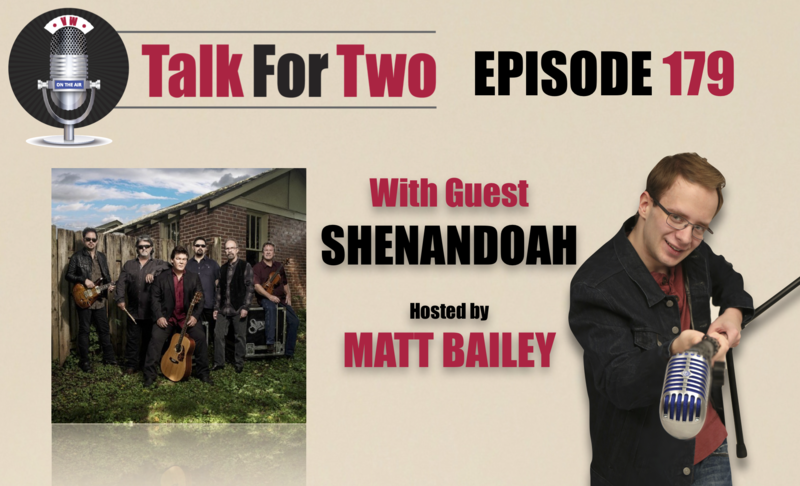 Today, on a very special edition of Talk for Two, Matt welcomes the front two fifths of the iconic country music group, Shenandoah. Marty Raybon and Mike McGuire recently stopped in New York City to promote their new album, Reloaded. The new album features 9 live renditions of the band’s hits, including, “Next to you, Next to Me,” “Sunday in the South,” and “Two Dozen Roses.” There are also three brand new studio tracks, produced by one of my favorite record producers, Mr. Jay DeMarcus. Reloaded released last week. It is the band’s first album with new music since 2016, and their first compilation album in over a decade. In this freewheeling interview, Matt and the gentlemen discuss everything from fan interaction, to Marty’s return to the group, and the recent additions to their line-up of musicians. At the forefront of Raybon and McGuire’s minds are ideas for new music and how they can update their sound while staying true to their country music roots. Taking their name, Shenandoah, at the suggestion of label executives, the gentlemen also open up about their early days on the road, and how performing as an in-house bar-band helped hone their sound. McGuire and Raybon discuss their love of classic country, and why they have stuck with the sound for decades. Ever since their beginnings, McGuire says the band have been road warriors, and do not plan to stop touring any time soon. They love bringing their classic country music to fans all across North America. In this day and age of ‘ditty’ music, (country designed especially for arena spectacles), they say that fans find Shenandoah’s blend of sincerity and fun refreshing. Reloaded is available on iTunes and wherever music is sold. To visit the band’s online home, click here.